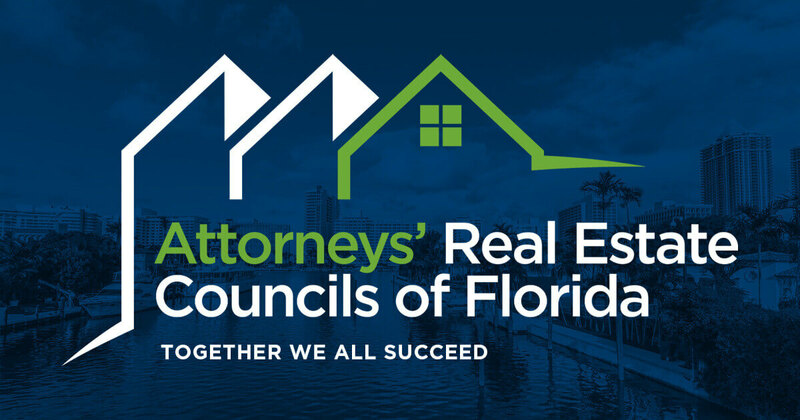 The Bay Area Real Estate Council or BAREC is a local real estate council serving Citrus, Hernando, Pasco, Hillsborough, Pinellas counties in Florida. Scott W. Fitzpatrick obtained his J.D. from Stetson College of Law in 2000, after earning a B.A. from the University of South Florida in Political Science. Michael E. Mirrington is a Fund Senior Underwriting Counsel in the Tampa Bay Branch. Michael E. Boutzoukas focuses his practice in the areas of commercial real estate and business transactions, leasing and financing. Since opening its doors in 2006, Brown & Associates Law & Title, P.A. has helped clients with difficult personal and business decisions which are often very emotional. Gary L. Davis is a sole practitioner as Gary L. Davis, P.A. and he also serves as President of 1st Affiliated Title Services, Inc.
Amanda K. Hersem, Esq., received her Bachelor of Science in Psychology from the University of Florida and her Juris Doctor from Stetson University College of Law. Before starting his own practice Anthony worked at a large Tampa Bay law firm concentrating on real estate and personal injury related matters. Danielle Vaughn is a board certified real estate attorney. Danielle received her Juris Doctor from the University of Nebraska, College of Law in 2010 and obtained her LL.M. in Real Property Development from the University of Miami in 2013. Amanda K. Hersem, Esq., received her Bachelor of Science in Psychology from the University of Florida and her Juris Doctor from Stetson University College of Law. Her passion for and experience in the real estate industry began in 2003, starting as a processor in her family’s title companies and working her way up to closing transactions and handling real estate legal matters as an attorney. She maintains a wealth of industry knowledge from her several years’ experience as a title claims, curative, and underwriting attorney with a large multistate firm that represents major lending institutions. Amanda has been published in Thomson Reuters regarding current real estate law matters in Florida courts. Ms. Hersem is admitted to practice law in all state courts in Florida and the United States District Court for the Middle District of Florida. Additionally, Ms. Hersem is a notary public and a licensed title insurance agent. MICHAEL E. MIRRINGTON is a Fund Senior Underwriting Counsel in the Tampa Bay Branch. He received his bachelor’s degree from the University of Rochester and his Juris Doctor degree from the University of Toledo College of Law. Prior to joining The Fund, Mr. Mirrington worked for a major Sarasota law firm concentrating in commercial litigation and title insurance claims. He is a member The Florida Bar and the Hillsborough County Bar Association. Mr. Mirrington served for five years as president of the Bay Area Real Estate Council and is now vice president/programs for that organization. He serves on The Florida Bar’s Real Estate Certification Committee and is past chair of that committee. Mr. Mirrington is an AV-rated attorney by Martindale-Hubbell and a Florida board certified real estate lawyer. Danielle Vaughn is a board certified real estate attorney. Danielle received her Juris Doctor from the University of Nebraska, College of Law in 2010 and obtained her LL.M. in Real Property Development from the University of Miami in 2013. Danielle opened her Real Estate Law Firm in 2018, where her practice focuses on closings and title work, landlord and tenant disputes, contract review, and real estate litigation. Danielle is a member of the Florida Bar, the Attorneys Title Insurance Fund, the Clearwater Bar Association, and the Florida Bar’s Real Estate Landlord Tenant Leasing Committee. Danielle is also a volunteers with the Community Law Program. Before starting his own practice Anthony worked at a large Tampa Bay law firm concentrating on real estate and personal injury related matters. Along with his well-versed knowledge of these areas of practice, Anthony has extensive experience in foreclosure defense and automobile accidents. He also served as in-house counsel for one of Florida’s larger mortgage companies where he was responsible for the operation’s compliance, litigating all lawsuits brought on behalf or against the company, along with overseeing the company’s title insurance offices in both Orlando and Tampa. Anthony received his Bachelor of Science degree from the University of South Florida and a Juris Doctorate from Nova Southeastern School of Law in Ft. Lauderdale. He is a member of the American Bar Association, Florida Bar Association, Real Property, Probate & Trust Law Section, and participates regularly in continuing legal education and professional organizations. He is an agent for Attorneys Title Insurance Fund, a member of the Carrollwood Community Bar Association (“CCBA”), Bay Area Real Estate Council (“BAREC”), Greater Tampa Area of Realtors (“GTAR”) and the Tampa Bay Real Estate Investors Association. Anthony has lived in Florida for most of his life and currently resides in the Westchase area with his wife and two beautiful children. His spare time is devoted to his family, friends, and an occasional round of golf. Michael E. Boutzoukas focuses his practice in the areas of commercial real estate and business transactions, leasing and financing. In 2009 he became one of approximately 450 attorneys in Florida to achieve Board Certification in Real Estate Law. Board Certification by the Florida Bar is the highest level of recognition of an attorney’s competency and expertise in one or more of 24 areas of law approved for certification by the Supreme Court of Florida. The Clearwater City Council appointed Michael to the Community Development Board. In that capacity, he conducts design review, evaluates historic applications, and reviews requests for land use plan changes and re-zonings. The Board serves as Local Planning Agency to review and advise City Council on the City’s Comprehensive Plan. He previously served on the Code Enforcement Board. Michael provides clients with general consultation and guidance in legal matters to business clients, leveraging his own transactional experience with the firm’s specialists in taxation, employment law and securities to serve his clients’ needs. Mr. Boutzoukas' peers call upon him to assist them with their client's real estate and business transactional disputes to gain perspective on the best course of resolution. He speaks before realtors, attorneys and businesses groups on commercial real estate transactions, leasing issues, title matters, and ad valorem tax valuation challenges. Gary L. Davis is a sole practitioner as Gary L. Davis, P.A. and he also serves as President of 1st Affiliated Title Services, Inc. in New Port Richey, where he has practiced for over 35 years. He received his bachelor's degree in Government and International Affairs from Florida State University in 1977 and his juris doctor degree from Stetson University College of Law in 1979. Gary began his career serving as an assistant state attorney for the 6th Judicial Circuit. In 1984, he entered private practice in New Port Richey. His law practice focuses on wills and trusts, probate and guardianships, commercial and residential real estate, foreclosure, corporate/business law. He is a member of the West Pasco Bar Association and served as President from 2012- 2013; West Pasco Estate Planning Council, served as President of the Allgood Altman Inns of Court; the Real Property Probate and Trust Law Section of the Florida Bar; a business partner member of the West Pasco Board of Realtors and served as Chairman of the Business Partners in 2016. He was awarded Business Partner of the Year in 2016. He is a graduate of the Florida Realtors District Six Leadership Institute, Class of 2016. He is a member of the Education Committee and has been instrumental in bringing seminars and programs to realtors. Governor Rick Scott appointed Gary to the 6th Circuit Judicial Nominating Commission in 2015. He is also an active member of many West Pasco community organizations. Scott W. Fitzpatrick obtained his J.D. from Stetson College of Law in 2000, after earning a B.A. from the University of South Florida in Political Science. Scott engages in litigation topics which include, but are not limited to, contract disputes, securities fraud, Interstate Land Sales Full Disclosure Act violations, restrictive covenant enforcement, foreclosure defense/prosecution, common law fraud, breach of fiduciary duty, misrepresentation, Florida's Unfair and Deceptive Trade Practices Act, shareholder derivation actions, civil theft, and consumer protection; and has conducted thousands of residential and commercial real estate transactions throughout Florida. Brown & Associates Law & Title, P.A. is your full service real estate law firm. Since opening its doors in 2006, Brown & Associates Law & Title, P.A. has helped clients with difficult personal and business decisions which are often very emotional. The firm’s goal is to help clients make informed and educated decisions that best suit their situations not only now but also into the future. Whether it is a real estate matter such as buying or selling a property, or entering into a lease agreement as a landlord or a tenant, or whether it involves a financial decision such as filing for Bankruptcy relief, negotiating a loan modification or a short sale, our mission is always our Client’s success. Barbara grew up in Houston, Texas. She received her initial higher education in Claremont, California. Barbara returned to Texas to attend law school and graduated in 1998 from St. Mary’s University in San Antonio, Texas. After receiving her J.D. and M.B.A. in 1998, Barbara took a position as Assistant General Counsel to a publicly traded company in Orlando, Florida. In 2002, Barbara went into private practice with a law firm in the Tampa Bay area. She concentrated in the areas of real estate law, including title and lending practices, foreclosures for private investors and asset protection and estate planning. These areas have been her main focus since. Barbara is honored to practice with Kenny Case, Esq. and Thanasi Poulakidas, Esq.